General contractor specializing in unique one-of-a-kind new homes and remodel projects for residential and light commercial clients in the Raleigh NC area since 1990. Design and construction of energy efficient, innovative, and cost-effective new homes and renovations. Energy Star qualified, sustainable, and universal design for accessibility featured in exciting detail-oriented projects. Capitol City Homes specializes in building Personalized home designs.. Clients can start from our plan portfolio with the option to then create individualized floor plan additions and update changes to build something that is just right for their lifestyle and budget. Local Raleigh, NC company specializing in design-build home building and remodeling projects. We can help you design your home to accommodate your life style. Our expert staff can assist with your floor plan, architecture, engineering, design, and construction. Kitchen, bath, decks, attic space, basements, interior and exterior building, special purpose rooms like theaters and gyms, and top of the line finishing. Our estimates are accurate and fair. For Forest Hills residential home builders who also act as developers, the job starts well before the first nail is driven. They perform local market research to determine whether the prospective homesites make sense in the Forest Hills, NC market, as well as survey the land on which the house will be built to make sure it is suitable for construction. Custom builders also obtain the necessary permits. A good custom home builder in Forest Hills, NC has skills that go far beyond construction — he or she must supervise subcontractors and artisans; keep tabs on local zoning regulations, building codes and other legalities; inspect work for problems along the way; and perform dozens of other roles that are essential in building a quality house. Here are some related professionals and vendors to complement the work of home builders: Interior Designers & Decorators, Landscape Architects & Landscape Designers, Architects & Building Designers, Kitchen & Bath Designers, Specialty Contractors. House builders are responsible for ensuring that the home-building project sticks as closely as possible to the specified timetable, particularly in the event of change orders. 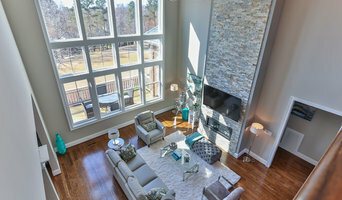 Custom and luxury home builders in Forest Hills, NC also need interpersonal skills to deal with clients of all types, soothe frazzled nerves, negotiate conflicts and resolve problems. 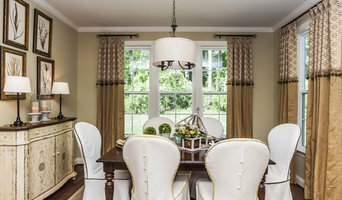 Find custom home builders in Forest Hills, NC on Houzz. Narrow your search in the Professionals section of the website to Forest Hills, NC home builders. You can also look through Forest Hills, NC photos to find a house you like, then contact the builder who worked on it.